The Ocean City Girl is one of the longest running Ocean City Maryland Fishing Charters in the fleet. Like so many of the other Charter Boat around we are a family owned and family operated business. 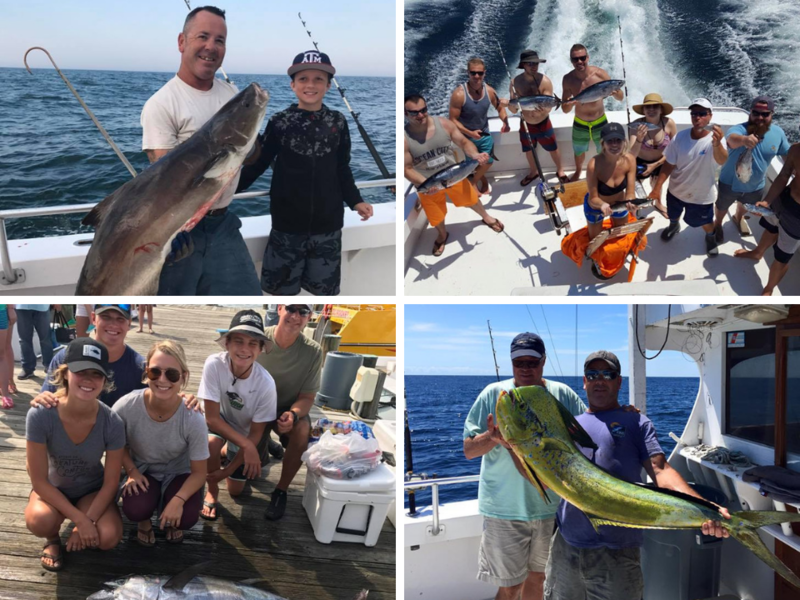 We cater to people who are looking to experience their first deep sea fishing adventure on an Ocean City fishing charter as well as seasoned anglers looking for a charter boat that produces results. Where we differ from all the other Ocean City Maryland Fishing Charters is that Captain Jeff is a full time, year round professional fisherman and the OC Girl can carry charter groups up to 16 passengers. Captain Jeff runs our charter boat for happy customers Spring through Fall and then fishes his commercial boat over the winter. Reputation – Our family has been running a charter boat for three generations and is one of Ocean City Maryland’s longest running charter boats. Large Group Charters – One of the only Ocean City Charter Boats licensed to carry more than six passengers. Deep Sea Fishing Charters for up to 16 passengers. Lots of Happy Customers – Our Deep Sea Charters specialize in catching fish. Sometimes it is not always what we target, but will try our hardest to show you some action on something that is biting. Year Round Fishing – Early spring, late fall and winter provide anglers with great deep sea charters on wrecks. We guarantee black sea bass, tau tog or a host of other fish on our fall and winter wreck trips! We Answer Your Calls – When you call us we always answer the phone. No hassles, no surprises, no gimmicks. Call us anytime seven days a week and we will answer any questions you might have.